When we fell in love with Netflix’s Stranger Things, we also fell in love with all the adorable stars of the Netflix supernatural series. The kids of the cast all get along fabulously, and that’s the kind of friendship we love to see. 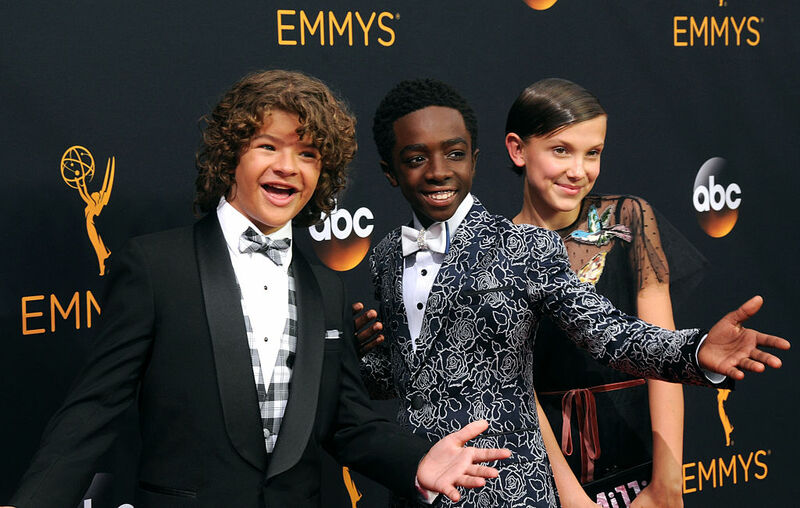 Once again, the Stranger Things cast showed us total friendship goals, when one of them had a birthday. Caleb MLaughlin (Lucas) celebrated his 15th birthday yesterday, and the outpouring of support from his Stranger Things castmates was beyond adorable. Noah Schnapp (Will) posted this throwback to Caleb’s birthday while filming Stranger Things. What a change a year brings? The cast probably can’t believe how far they’ve come since this pic. Millie Bobby Brown (Eleven) shared this sweet pic that shows off their friendship. These two together just look too cute. Plus, they’re both rocking some fabulous headgear. Gaten Matarazzo (Dustin) posted a pic from their travels together in Paris. Because we all know that the best kinds of friends are the ones that you can travel with. Finn Wolfhard (Mike) posted the silliest photo, showing he and Caleb making goofy faces before a movie. Finn also notes that Caleb is old enough to drive in Georgia, where the show is filmed. We bet Finn will be wanting rides everywhere! Caleb got all the best birthday wishes, and it was super sweet. Now he just needs a delicious birthday treat.